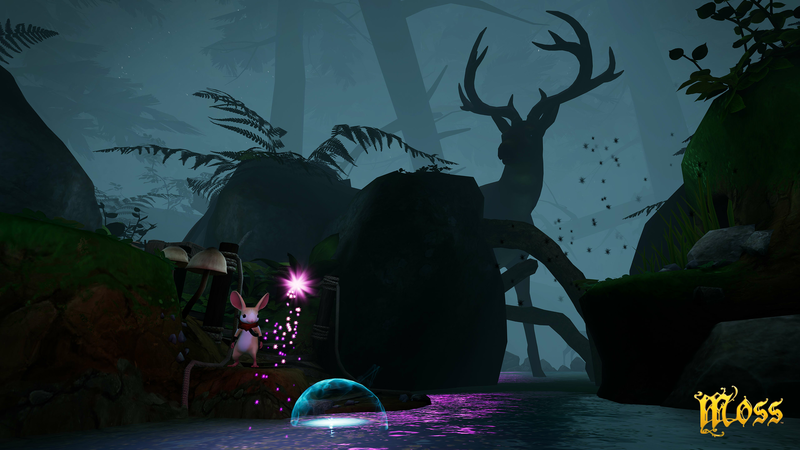 Moss is a single-player action-adventure puzzle game and new IP tailor-made for the VR platform. 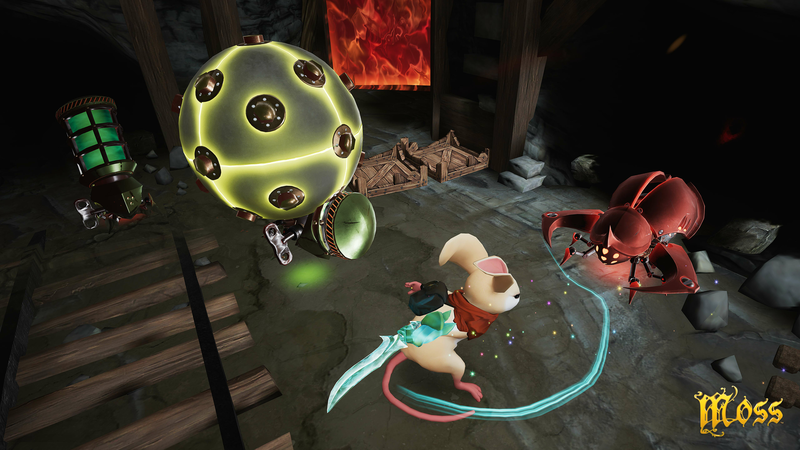 It takes the classic components of a great game—such as compelling characters, gripping combat, and captivating world exploration—and combines them with the exciting opportunities of virtual reality. 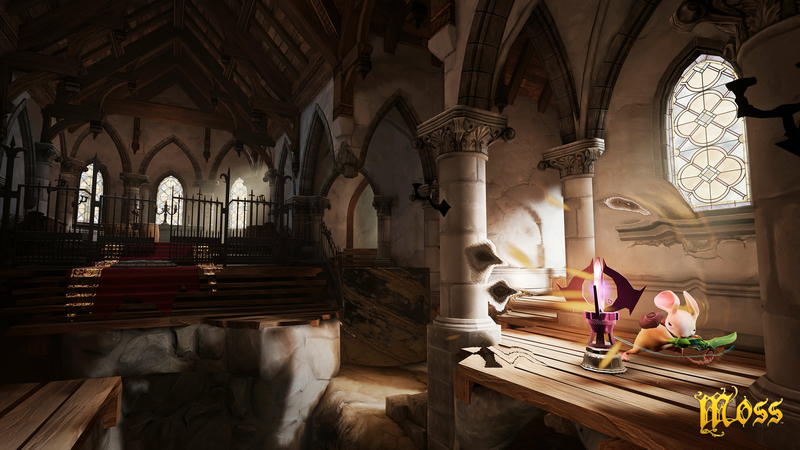 The result is a fully interactive and immersive player experience set in an engaging fantasy world. 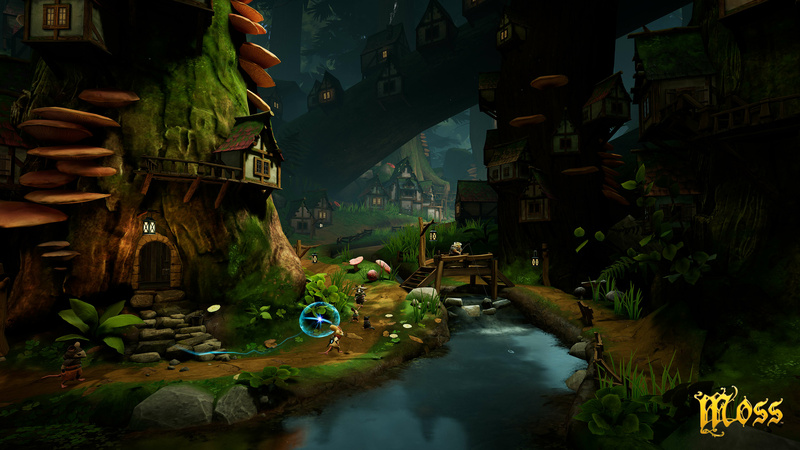 Players reach into a dynamic, interactive world where their every action has impact. They move objects, assist in battle and puzzle-solving, heal the hero, and alter the actual landscape of play through their own direct influence. 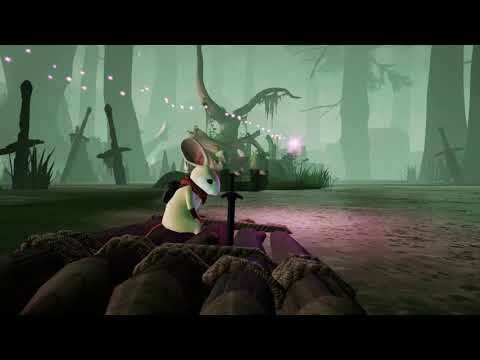 Moss brings players into the world. Their senses transport them to lively, humming environments filled with intriguing creatures, ancient artifacts, and vast, panoramic views. 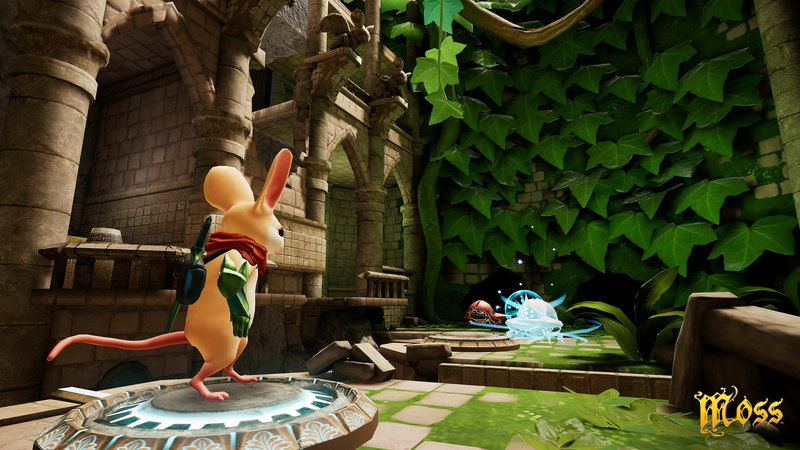 Quill is the brave new hero of Moss. She’s a young mouse with dreams of greatness beyond the confines of her quiet settlement. When an ancient magic is awakened, she becomes linked to the player who is their own character in the story. When a distant evil extends its reach, they’re called together on an epic journey. 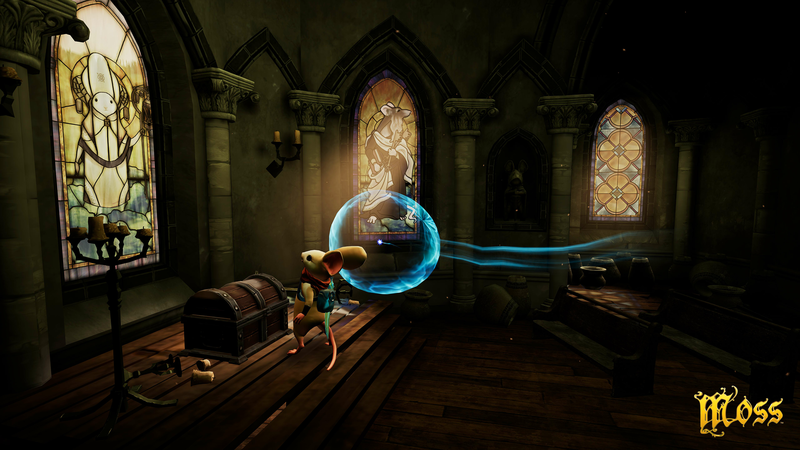 Fantasy storybook readings throughout gameplay further develop a compelling storyline and draw players into a rich tale of myth and magic. 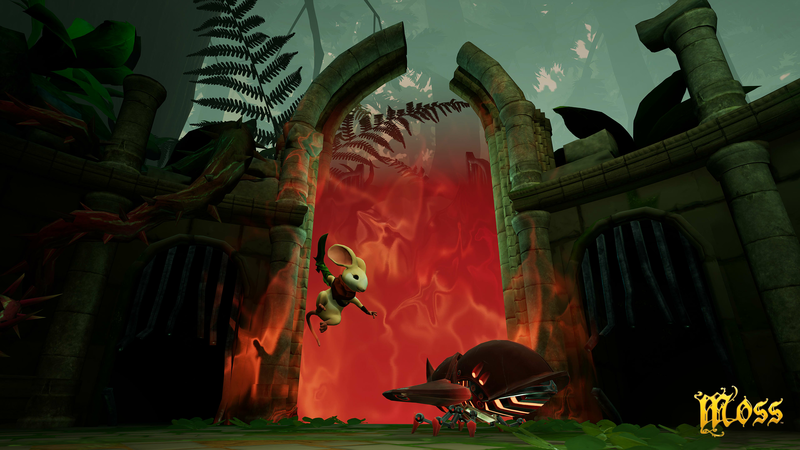 The alliance between Quill and the player is an extraordinary one. Their bond deepens and thrives through mutual communication and shared experiences. 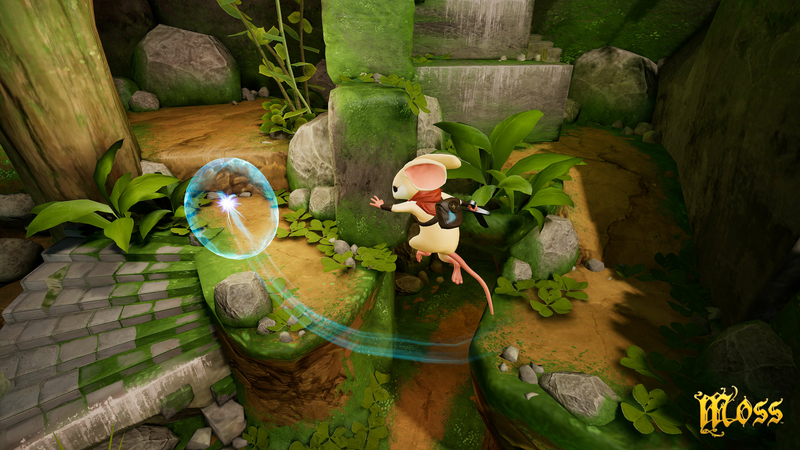 In gameplay, their abilities are complementary and both characters will be needed to achieve victory. 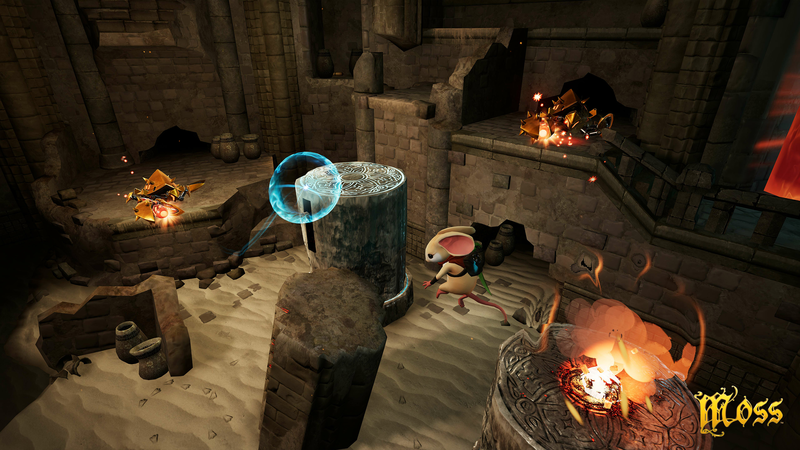 Players guide the hero via approachable and familiar action-adventure controls. 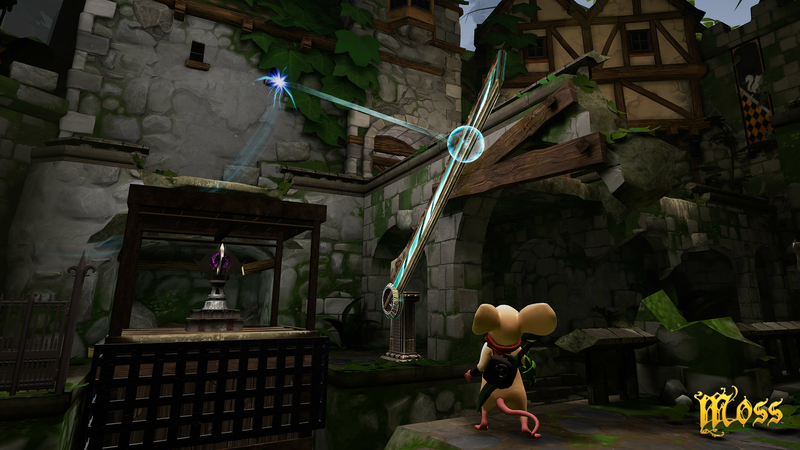 At the same time, they can directly reach in and manipulate the field of play as their own character and key ally to Quill. 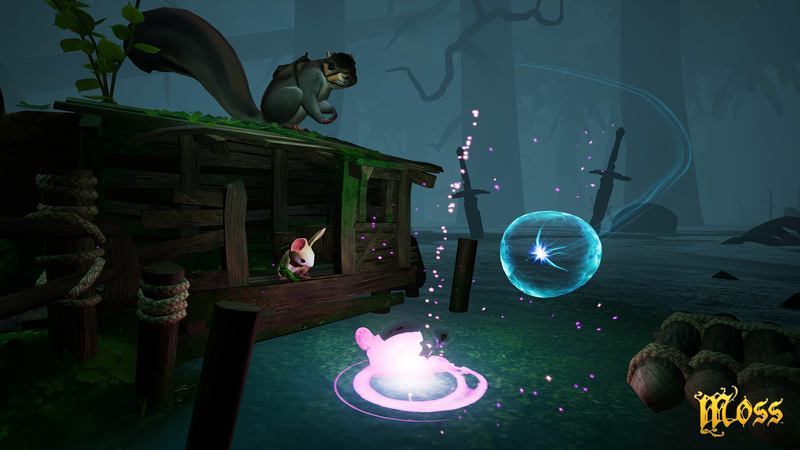 Moss features intuitive gameplay, creative design, and a high degree of art, sound, and animation polish. The overall quality is a key reason players feel they’ve been transported into the world.